Andy Carroll’s underwhelming West Ham career looks to be coming to a disappointing end after the striker suffered yet another injury setback, this time involving his ankle. It all makes for quite grim reading now that it appears Carroll has played his last game for West Ham, which means that, for the fourth time in six seasons, the Gateshead-born striker would have failed to make 20 appearances across all competitions for West Ham. Sadly, it’s one of those stories in football that will be looked back on by many Hammers as they wonder what could have been. Carroll has always divided opinion and is often ridiculed by fans in England for the way he plays the game but, in truth, it all stems from him not being able to live down the £36m transfer fee to Liverpool, which was a club record for the Reds at the time. 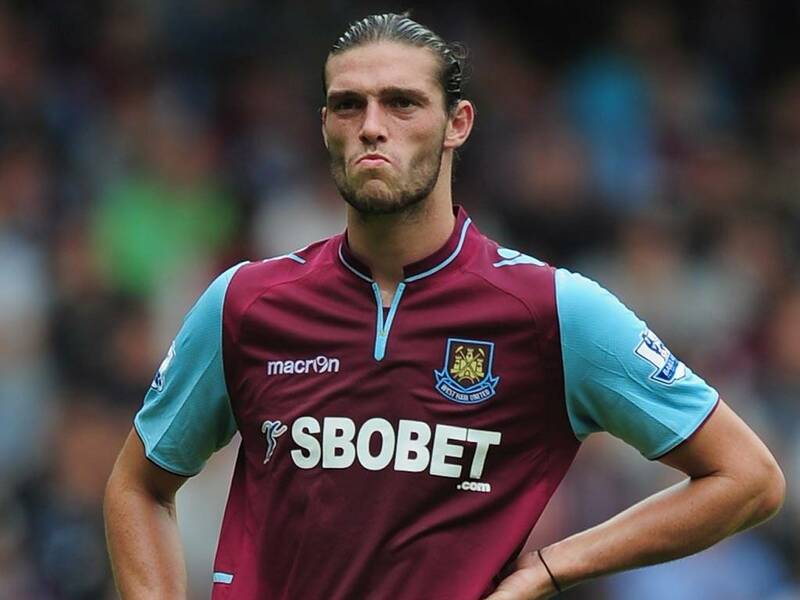 Carroll was brought in by Kenny Dalglish in 2011 but was sold to the Hammers in 2013 after only managing 11 goals in 58 games. His time at Anfield will forever haunt him and, if you were to ask any Kopite these days, most would tell you that Liverpool’s worst ever signing was Andy Carroll. Hammers fans won’t go that far as his time in London has been marginally more successful but, now that he is on his way out the door, West Ham shouldn’t go looking for a like-for-like replacement. Since Olivier Giroud said he may quit Chelsea this summer in order to get more playing time, there has been a call to bring the striker to the Olympic Stadium but, surely, the time has now come for the Hammers to begin life without a target man up front. Giroud, like Carroll, isn’t a prolific goalscorer and, between them this season, they have notched up just one Premier League goal in 33 appearances. Giroud will be 33 this year, which suggests that a player who already has limitations when it comes to mobility is likely to begin getting even slower. A slow turning circle in the Premier League these days is a severe hindrance to success, with the long ball slowly but surely being faded out. As far as targets and wantaway Chelsea strikers go, Michy Batshuayi is a far better option for a new striker in the summer. The 25-year-old is at Crystal Palace on loan until the end of the season and will return to Stamford Bridge in June where he will no doubt be asked to find another club once more. The Belgian is starting to show consistency for the Eagles, and his display in the quarterfinals of the FA Cup shows he’s finding his feet against Premier League opposition. Many pundits would have written him off after failing to make it into Chelsea’s starting line up but the pros from betconnect weren’t part of that thinking; in fact, in their best football tips before kick-off at Vicarage Road in the FA Cup, they had Batshuayi down to be an anytime scorer at 23/10. His 62nd-minute goal obviously didn’t prove quite enough for the Eagles to advance on the day but the point is that he is beginning to make waves and become a safe bet in front of goal. All you really want in a striker is pace and agility coupled with a nerveless finish. As far as Batshuayi goes, he currently has two of those traits and is developing his finishing every week. It’s time to put Carroll out to pasture. A far better option would be Michy Batshuayi, and he could be a steal as well, with the Blues seemingly desperate to move him on.